The past week I have opened my wardrobe every morning, looked at the contents and just felt very uninspired with what it has to offer. I always have this feeling when we come to the end of one season that I'm not quite ready for the season ahead. I don't like spending my money on more summer clothes when the end of summer is round the corner, but the weather is far too gorgeous to wack out your autumnal clothes just yet. So updating your wardrobe with key transitional pieces for this time of year is key. One key item for me is a long sleeve top; this can be in any colour or print but it should be a versatile piece that you can team with jeans, skirts or even a pair of shorts. I went for a stripe version with a soft acid wash as this style can go with any of my staple items in my wardrobe. I feel I met the summer-to-winter transitional look in the middle with this outfit, creating a hybrid outfit perfect for the trans look for this time of year. There are a few key items you can update your wardrobe with and a long sleeve t-shirt is a great piece. Here I wanted to test my new stripe top out with an a-line leather skirt and bare legs. This look has been one of my favourites of late and I can see myself wearing it time and time again for a day look. 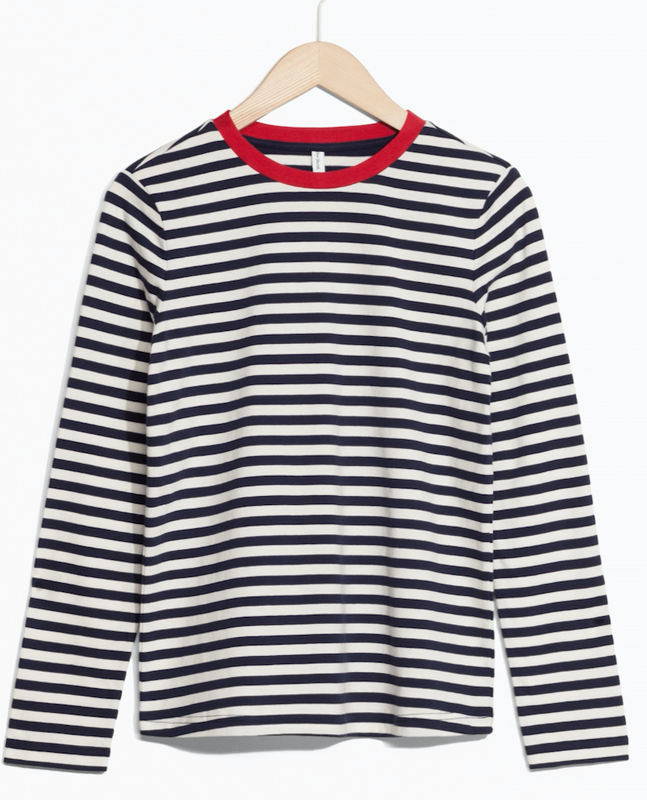 Long sleeve tops never feel very exciting but if you find the right style you can live in them for a whole season until you are sick of them and ready for Spring/Summer again. Let me know your thoughts on this outfit and if you like any of the long sleeve tops I have picked out for you guys.